I am lucky enough to live in the UK and just outside of London, meaning that I have easy access to a huge number of literary hotspots. While our fabulous capital offers more destinations for the fictionally-minded than one person could possibly hope to explore in a lifetime, I always appreciate the opportunity to venture further afield. In this spirit, I jumped at the chance to make a 2.5 hour car journey into the depths of Yorkshire for the opportunity to pay homage to three of my favourite authors – the Bronte sisters. The Bronte parsonage, in the village of Haworth, West Yorkshire, is where the sisters spent their lives. Regardless of your opinion on the works produced by Charlotte, Emily, and Anne, this site represents one of the most important to the history of British literature. As a massive fan of the Brontes (Wuthering Heights and Jane Eyre have remained unwaveringly present on my ever-evolving list of Top Reads), this trip struck a particular chord with me. Walking the village and the infamous Yorkshire moors, it is easy to spot the inspiration! 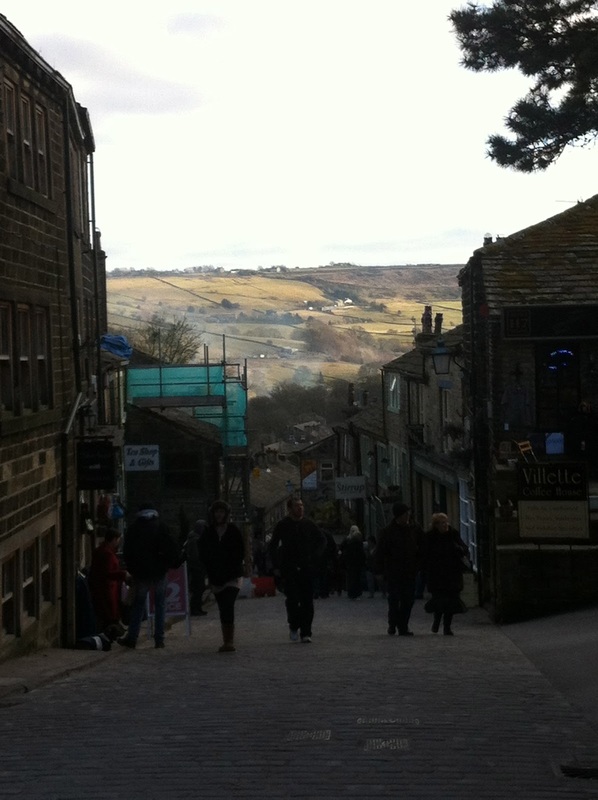 Haworth – with my apologies for some awful photography! 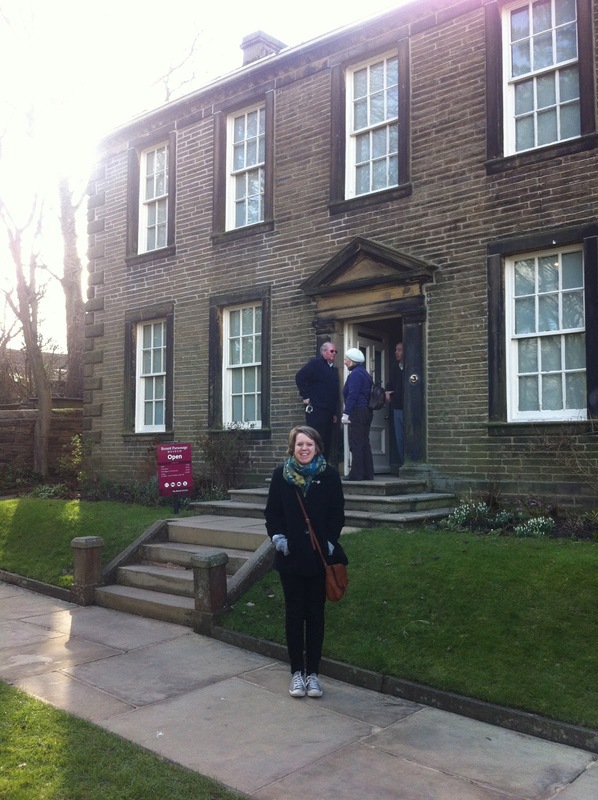 The Bronte Parsonage (and Museum) is open to the public, giving visitors the chance to see the rooms where the most famous Bronte works were written. Needless to say, I was beyond awed – but, then again, it doesn’t take much. The Parsonage itself is impressive in its ordinariness. Visiting a place that has witnessed the production of works that have turned the literary landscape on its head, it is difficult not to expect to find a location somehow marked or exceptional. But walking the footsteps of the Brontes, and seeing the few rooms in which they passed their lives, simply makes their achievements all the more impressive. The small dining room, in which the three would persistently pace and discuss their writing, would not look out of place in my grandparents’ house (particularly the tasteful floral wallpaper). Yet it was the room in which one of the most tragic love affairs ever put to paper was created, where Jane and Mr. Rochester fought their battles, and where my favourite of all male characters – the brutal Heathcliff – was made to writhe in his passion-turned-torment. Wave hello to the lucky couple unknowingly featuring in this blog post. It is always easy for me to forget just how many fantastic literary destinations there are around the UK and, as so many do, get instead caught up in the highly-advertised London offerings. 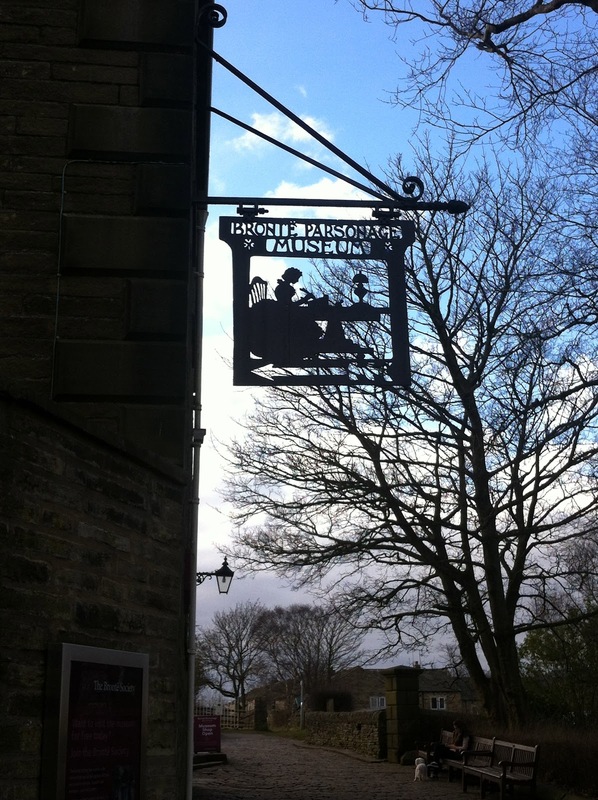 The Bronte Pilgrimage is undoubtedly one of the best literary excursions I have made (yes, even better than when I walked for two miles through fields to find the lake that Colin Firth dived into). This is not simply due to my excessive love for the Brontes – but has more to do with the reminder it serves that these great works find expression from the most ordinary of places. 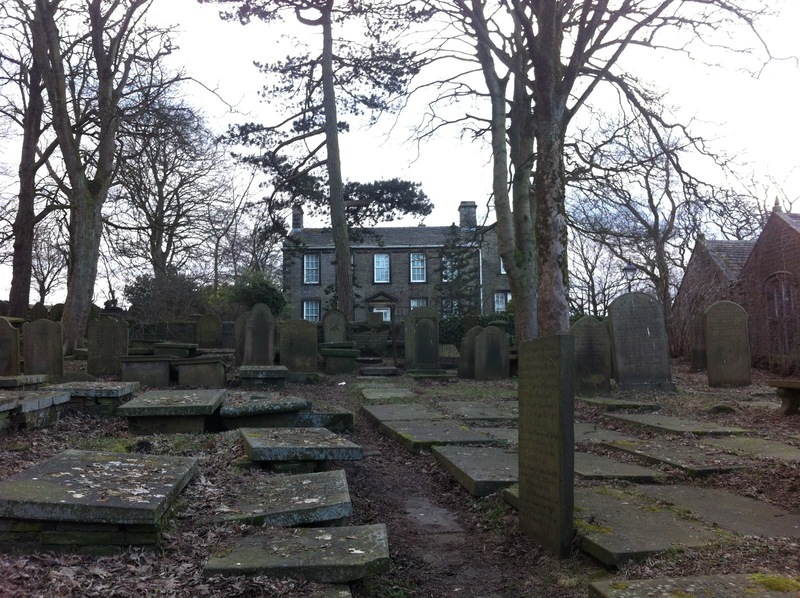 The Bronte Parsonage is exceptional in its unexceptionality. And although that might not be the best of advertisements, I think that any fellow literary aficionado will understand the appeal. This is the first in a series of posts I hope to write about literary excursions around the UK. If anyone has any suggestions of destinations, feel free to leave a comment or send me an email!